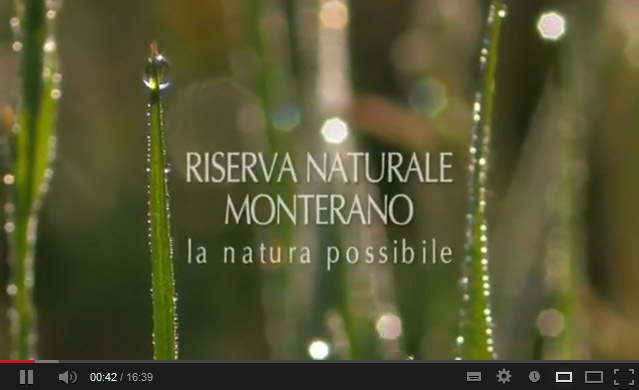 Riserva Naturale Monterano » What? Home » Fruizione Turistica » Altre lingue » English » What? One of the first protected areas in Lazio, after a difficult start, the Monterano Nature Reserve is now operational with its own premises staffed by a qualified team responsible for the everyday problems and needs inherent in running a nature reserve. Numerous projects have been implemented and others are in the pipeline. Particularly worthy of note are consolidation of the main monuments in old Monterano including Palazzo Altieri with its magnificent lion fountain, the spectacular aqueduct, the surrounding walls with the "secret garden" and evocative Cretella Gate, the cast of the hexagonal fountain and restoration of one of the best lion statues in the history of Italian art, the work of Bernini and today in safekeeping in the Town Hall. Many areas of woodland have been saved from industrial coppicing, while maintaining the user rights of the local agricultural university through compensation and forestry improvement projects. Degraded areas have been rehabilitated, studies and surveys on all aspects of the area have been carried out, information material has been produced and educational campaigns have been activated. Woodland of particular natural value has been purchased, together with parts of a wetland area with importance for the conservation of amphibians way beyond regional level. Other important projects implemented with the benefit of regional, national and above all EC financing include the construction of easy access to old Monterano, merging in well with the surrounding landscape and enabling even those with limitations due to age or physical impairments to visit the monument. Together with the extensive network of footpaths and bridle paths, recent completion of the Fontana Visitor Centre provides visitors with a range of services and facilities from environmental education to assistance, souvenirs and information material and refreshments. Other projects in the pipeline are aimed at enhancing various habitats and taking more incisive action to preserve and valorise the environmental and cultural heritage. Solar panels are being installed in the Visitor Centre buildings and a new natural history museum, small but designed in accordance with modern museum concepts, will be dedicated to the animal symbolic of these places, the Egyptian vulture. School visits from the whole region are growing and for some years now these, together with cultural and ecotourism and the constant presence of volunteers and scout groups, have represented a far from negligible source of income for local businesses, as confirmed by the recent opening of new hotels and restaurants. The Reserve is also planning major new projects to restore the historical, architectural and environmental heritage, starting with recovery of a wetland of great interest, purchase of various areas of woodland and the use of solar energy in Reserve buildings. Through specific action by the Canale Monterano Local Authority and the Regional Parks Authority, the Reserve is heavily involved in promoting quality products such as bread, honey and meat. One particularly interesting project involves granting (by means of a special regulation) the Reserve’s logo to promote products and services, in accordance with the provisions of the framework law on protected areas (Law no. 394/91). The main objective of this initiative is to promote high quality organic plant and animal products by organising special promotional events and at the same time orienting production towards ever higher quality and environmentally friendly products. 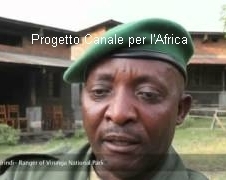 In its promotional and visitor reception activities or for the production of cultural initiatives, the Reserve employs young residents, selected and trained by ARCI Community Service of Viterbo on voluntary schemes as part of the National Community Service scheme. Collaboration with the scout association AGESCI is particularly important, each year bringing large numbers of young people from all over Italy (and abroad) to visit the Reserve and help as volunteers in various sectors. Together with LIPU (the Italian Society for the Protection of Birds), the Reserve helps recover and reintroduce wild animals into the protected area, while in collaboration with the ALTURA association, we pay particular attention to the extremely important populations of birds of prey and owls. There are so many projects underway that it is impossible to cover them all in these few lines, but we are particularly encouraged by one thing in particular - we have always aimed for correct and open dialogue with all parties involved in this demanding conservation and sustainable development project, from farmers to schools, associations of "butteri" (Maremma "cowboys"), tourism operators and businesses and the world of sports and culture, with particular attention to social problems and to promoting collaboration with protected areas and communities in developing countries. The sector of cooperation and solidarity is growing strongly and we play a leading role in international level initiatives. All our fields of activity are "shared" with the local community and the "community of parks" through constant and exhaustive information, but our most direct and demanding collaboration is with the pupils of local and national schools in education for sustainability.